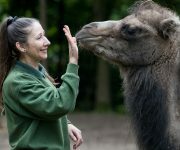 The Bactrian camel is native to the steppes of central Asia, and restricted in the wild to remote regions of the Gobi and Taklamakan deserts of Mongolia where it is thought to number around 500  800 individuals. 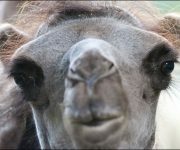 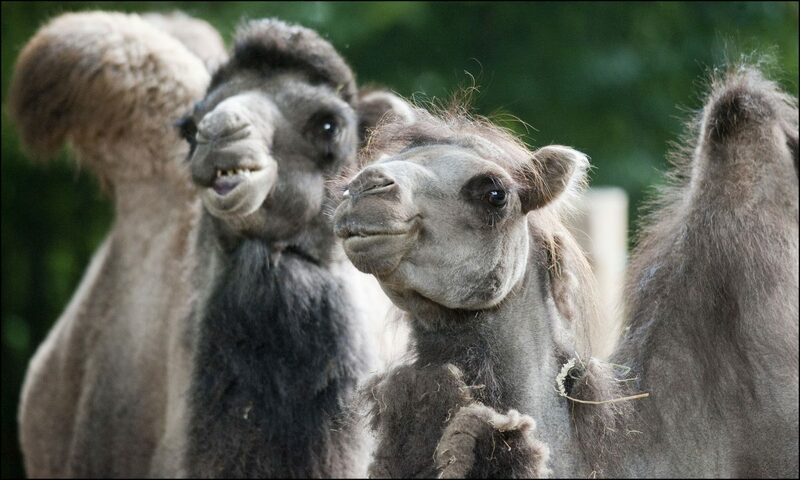 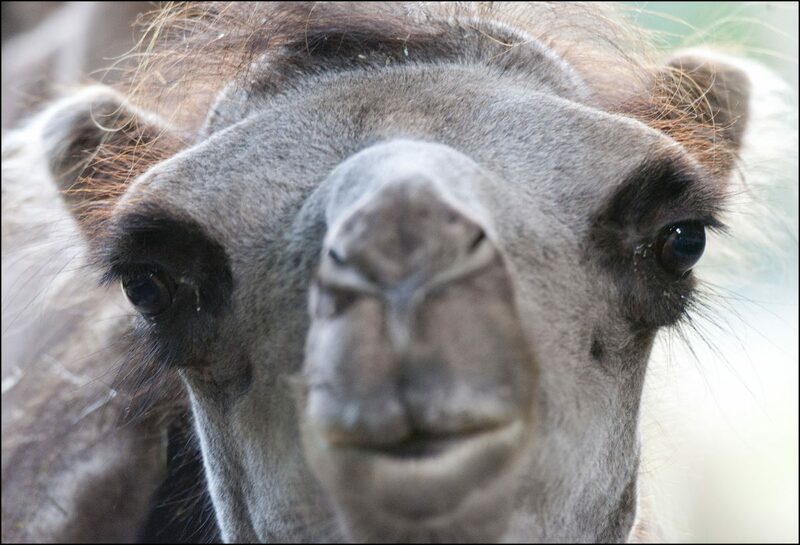 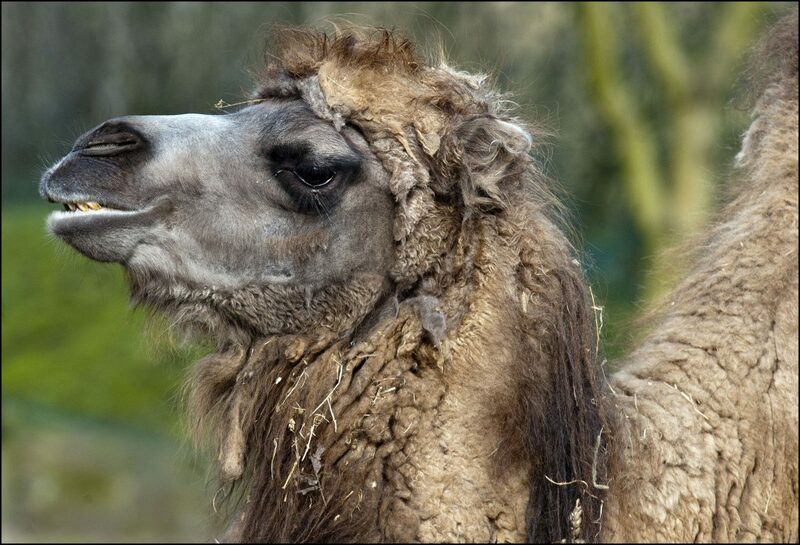 Most of the estimated 1.4 million Bactrians alive today are domesticated camels. 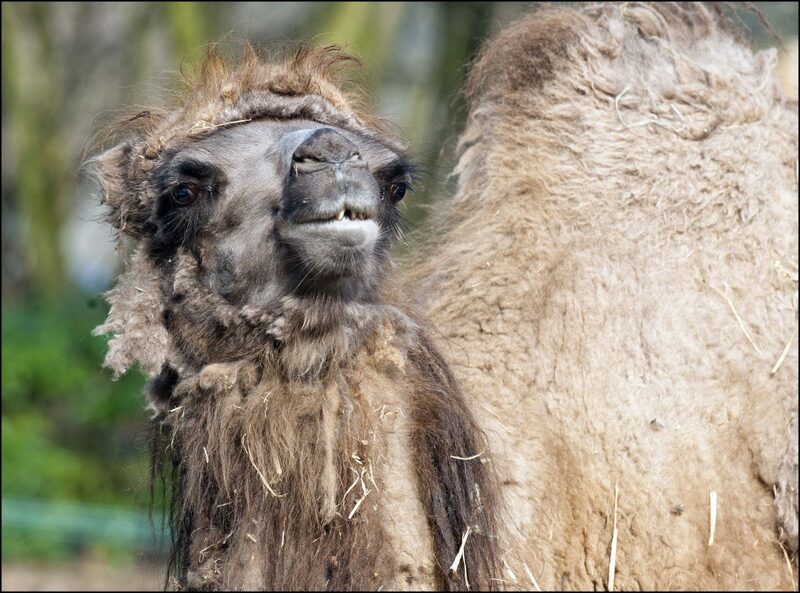 Bactrians have two humps while the dromedary, or Arabian camel, has a single hump. 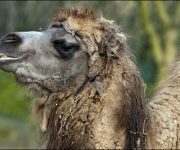 These animals are superbly adapted to life in the desert. 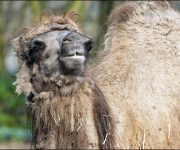 They have a double row of extra-long eyelashes, hairs in their ears, and can close their nostrils to prevent damage during sandstorms. 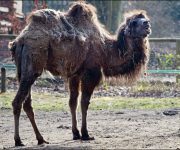 Large feet spread wide to allow them to travel efficiently through the sandy desert, and their thick woolly fur allows them to remain warm in -40°C winter temperatures. 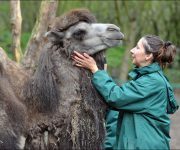 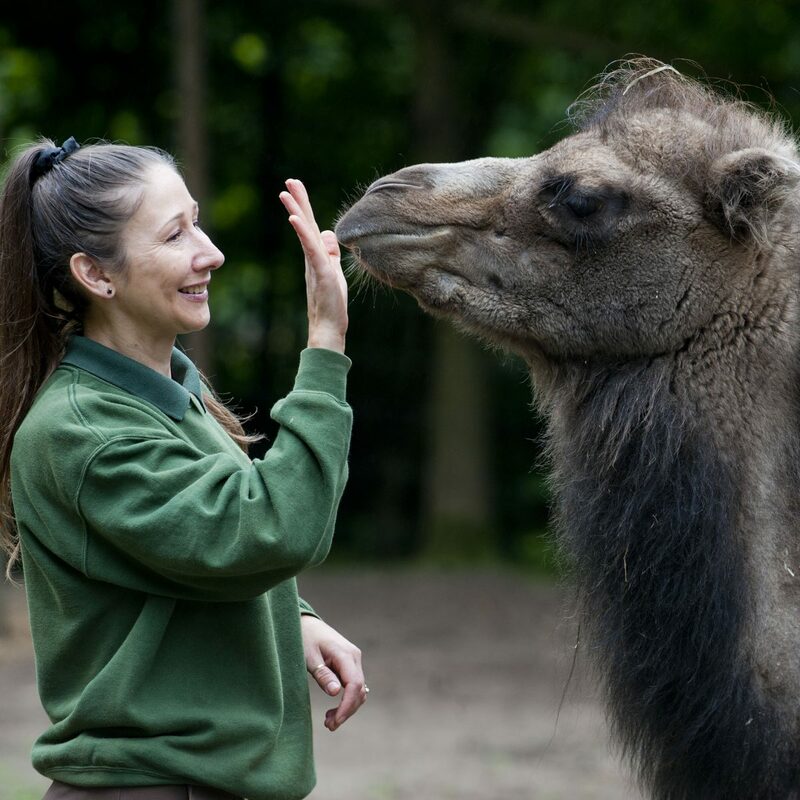 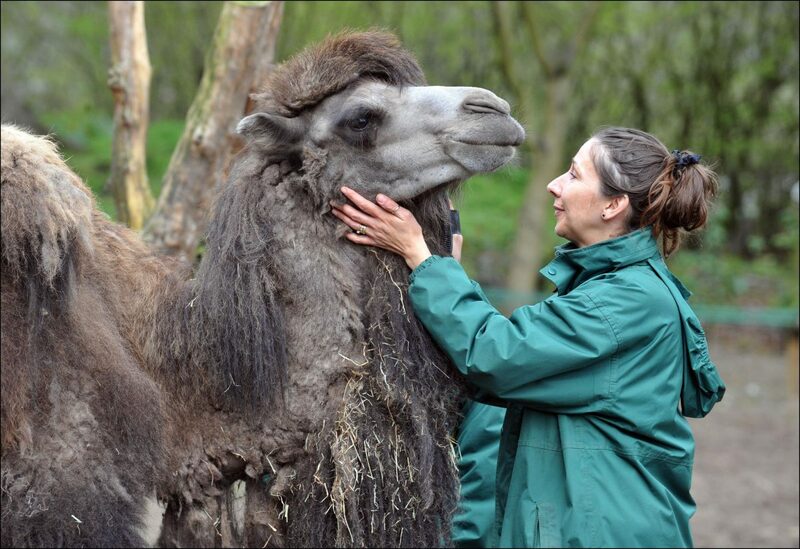 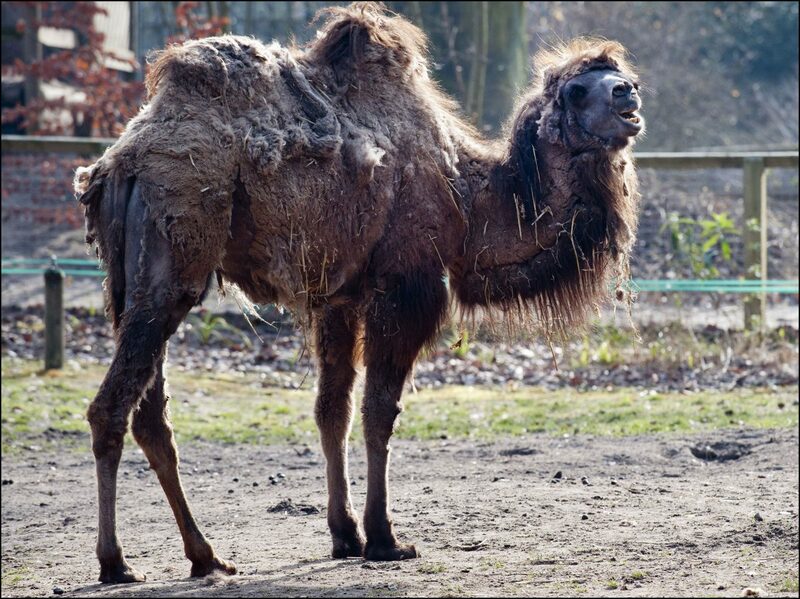 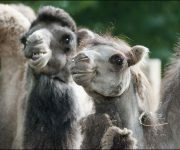 They shed their thick coat in summer when temperatures may reach 40°C, and fat stored in the two humps can be metabolised by the camel when food and water are scarce.